Samsung is all set to unveil the Note 8 at the Unpacked Event on 23 August, but it won't be the only device to mark its debut. A couple of other devices, the fitness tracker Gear Fit2 Pro and a backwards-compatible GearVR headset will also be unveiled alongside the Note 8. Though the hype and excitement related to wearable devices have gone down recently, it seems Samsung isn't going to give it up easily. Samsung had launched Gear Fit in 2014, and two years later, updated the line-up with Gear Fit2. 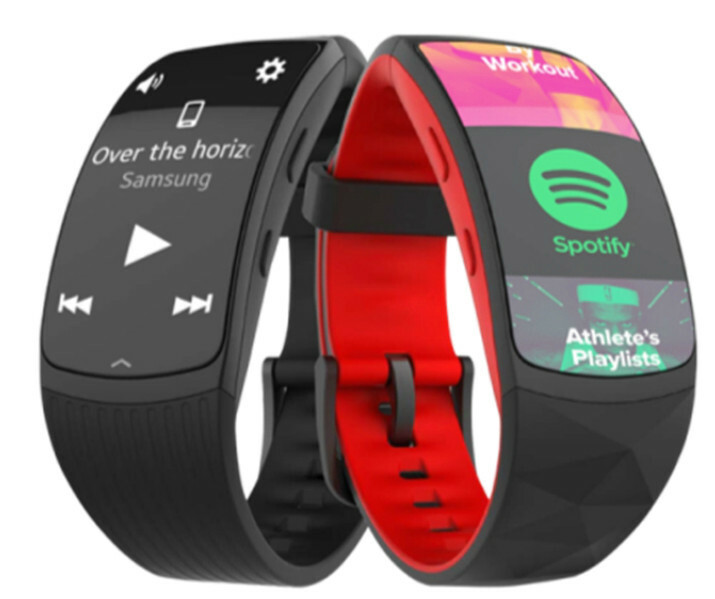 The Fit2 Pro will actually be the third in the series of fitness trackers from Samsung, successor to the Gear Fit2. The latest fitness tracker from Samsung will be a big update to the Tizen-powered Fit2, according to sources. The South Korean company's new wearable device will have 5 ATM water resistance, which means that users can submerge the device fully without the fear of damage and also enables swim tracking. The Gear Fit2 had IP68 certification, which was waterproof only up to a certain extent. For extended rough usage like rigorous workouts, the Fit2 Pro will have a watch-style clasp, ensuring a more secure fit compared to Fit2 which only had a snap clasp. Another addition is the support for music playback – offline Spotify as well – which will give an extra advantage to the Fit2 Pro over other fitness trackers. This device will also have GPS function, like the Gear Fit2. The Fit2 Pro will sync with Speedo On app. It will be compatible with Android as well as iOS devices, and includes one year subscription to Under Armour’s premium digital services. Information about detailed specs and price was not available.